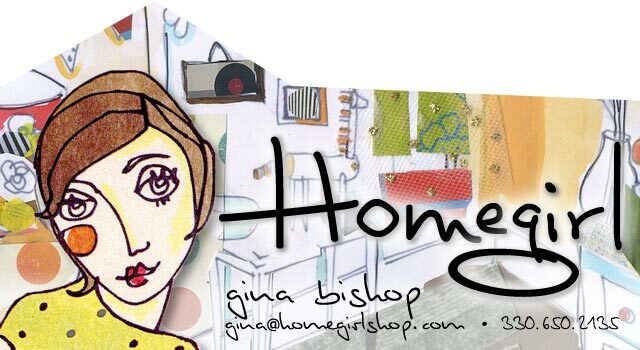 Home Girl: Mountains on my mind! We just went on a family vacation to Big Sky, Montana and Yellowstone National Park. It was so BEAUTIFUL and very inspiring! I LOVE the mountains and the natural beauty is amazing! "Cabin" decorating is one of my favorite styles and using elements of nature. The basket was outside of our lodge and I think it would be so cool to hang on a front door with your house number painted on it. 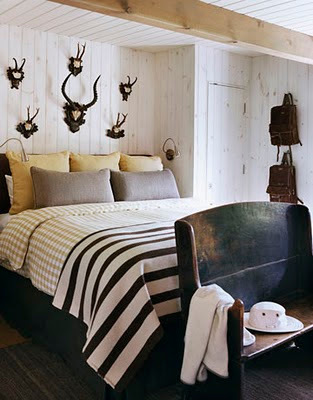 The bedroom photo is from House Beautiful and I love antlers anytime, anywhere! More "mountain" posts to come, including HGTV's Dream Home in Stowe, VT that I am obsessed with!